Our Trader system provides easy to use point of sale software for merchants looking to manage stock, control pricing and promotions and keep track of finances. Our team is ready to help answer any questions you may have or arrange for a demonstration. Complete the form below to send us a message. Check this box if you wish to receive further information from us in the future. You are busy and so are your customers. Time wasted by slow administration is likely to cause frustrations on both sides. With an electronic point of sale system you can not only process orders and take payments more efficiently, but you can produce quotations, prepare orders over the phone and control deliveries in the half the time. As orders are created, they can quickly be turned into a quotation for the customer to take away and purchase at a later date. Customers will be impressed by your new level of efficiency and organisation. As well as allowing you to process cash and credit sales at the counter, Trader also provides structured management of your delivery process. 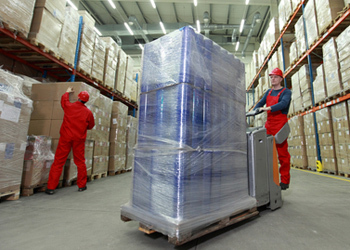 In one screen you can record pending and completed deliveries with the ability to monitor the accuracy of the deliveries made and received by the business. 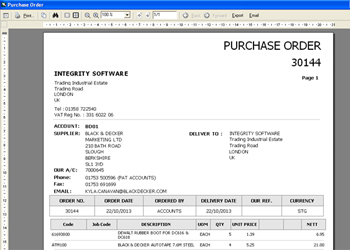 Trader also provides a full back office accounts solution for builders merchants. If accounts software is required, the systems' General and Purchase Ledgers provide you with full visibility of incomings and outgoings of the business in one fully integrated system. Useful article: Retail software; can it really help to grow your business? Are you ready for Ireland’s PAYE Modernisation? On the 1st of January 2019, Ireland’s PAYE system will undergo the biggest shift since its inception. “With Trader, all of your creditors, debtors, stock control and promotions are all in one place. Plus on the point of sale side you can very easily go back and forth between screens to add discounts or amend a price which makes life easier when processing sales. Before running Trader we were using a combination of paper-based order books and spreadsheets to record sales. We now benefit from a fast, user friendly point of sale system which provides us with valuable day to day reports. We have 6,000 product lines and ensuring that pricing was kept up to date and our margins were protected was a challenge. With Trader, we are now able to deliver consistent pricing and efficient service while protecting our margins.